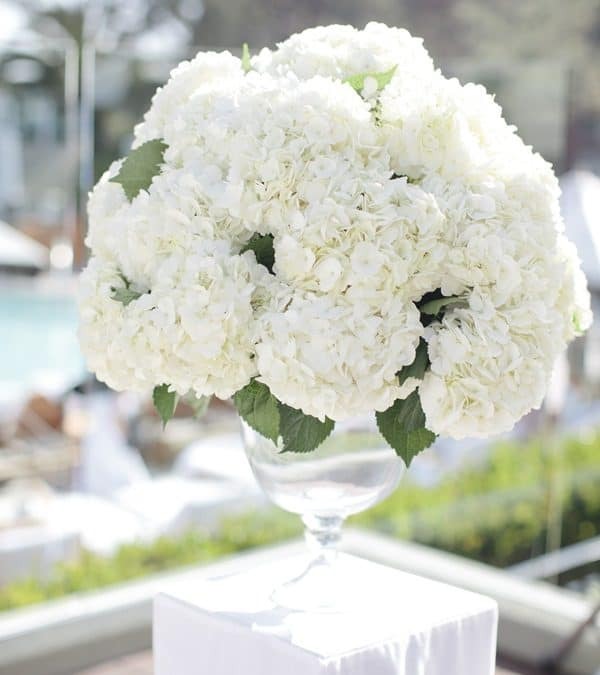 The perfect wedding flower, hydrangeas, are sure to please! 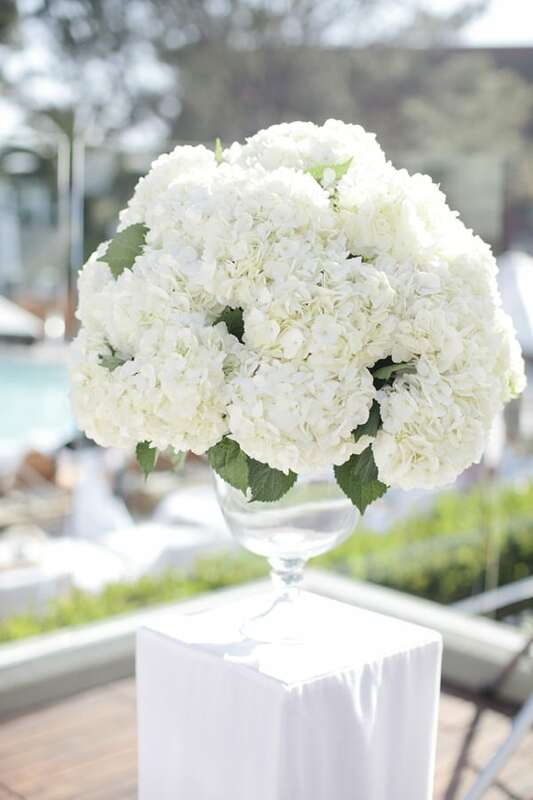 Hydrangeas are luxurious and romantic, adding texture and density to any floral arrangement. Their voluminous petal structures have many small blooms clustered together to form one large flower. Dark lush foliage frames each bloom making this a versatile flower. Great for use in bouquets, centerpieces, floral arches, and so much more! They can be paired with just about anything from roses to eucalyptus to gerbera daisies. The possibilities are endless! Hydrangea naturally comes in a variety of colors, the most popular being white. They also will appear in light blue, green, purple, pink, antique and even blush. White blooms can be spray-tinted and are available to those who are looking for a color not found in nature such as yellow or orange. Their bloom sizes are quite large, making them very cost effective for a DIY bride! With a bloom size ranging from 4 to 6 inches wides, you will need far fewer stems than other smaller flowers. Stem lengths can range from 24 to 28 inches long but can be cut to meet anyone’s needs. Mini green hydrangeas are perfect for those who wish to have smaller blooms. Their size can vary between 3 to 4 inches wide and a stem length of 24 to 28 inches. 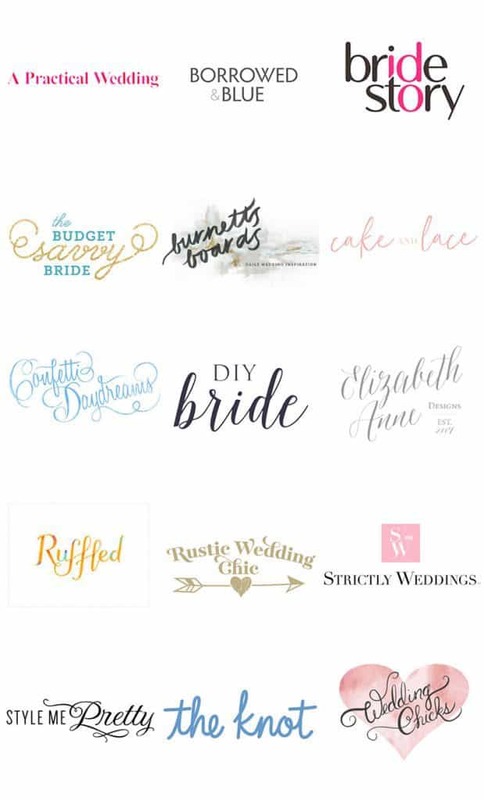 Featured on Elizabeth Anne Designs and photographed by Joielala. How many hydrangeas do I need? 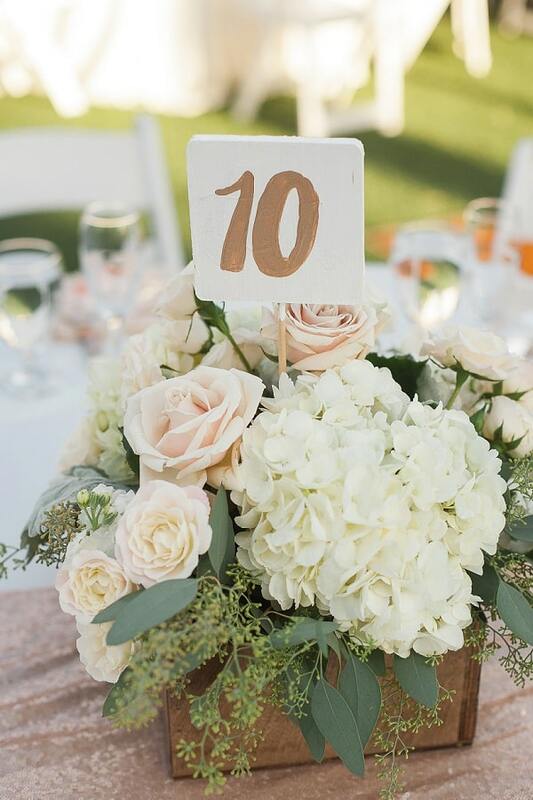 We love this rustic yet elegant hydrangea centerpiece matched with blush spray roses and seeded eucalyptus. This would be perfect for an outdoor garden themed wedding or event. 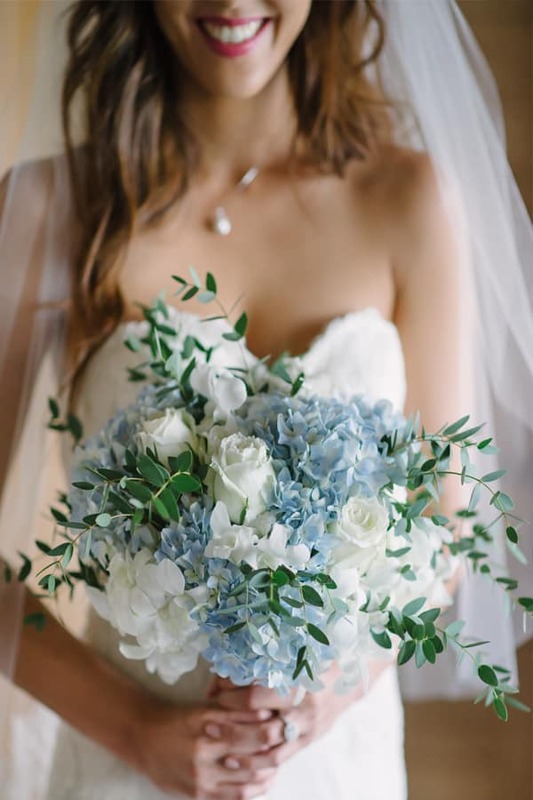 Check out this bouquet with blue hydrangeas and paired along with white roses and bonsai eucalyptus! The hydrangeas and roses lay perfectly against the wispiness of the bonsai creating a lovely rounded shape. 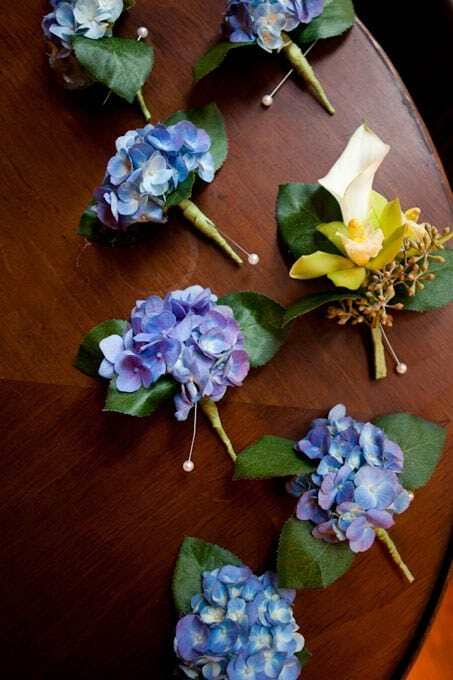 These boutonnieres were created by breaking apart hydrangea stems and pairing them with foliage. One flower really does go a long way! 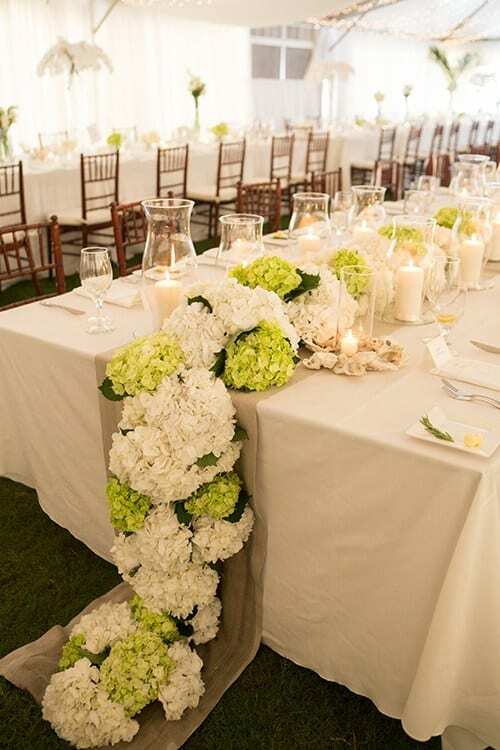 This stunning table runner is made completely out of white and green mojito hydrangeas. This luxurious garland is perfect for any classically antique themed event. Do you see why hydrangeas are a wedding favorite? They are timeless and can be incorporated into almost any arrangement or style. Tell us why you love these sweet blooms! how do you make the hydrangea table runner, it is so pretty. Hi Audrey! You can stick trimmed Hydrangeas into our Oasis Garland Foam to recreate this gorgeous table runner! Ordering 30 stem hydrangeas , should I cut the stems right away and place in the buckets? I won’t be home when they get delivered but my husband will be, but he doesn’t want to cut them as he thinks he will mess it up. Can it wait for about 4 hours till I get home so I can cut the stems and place in water? Hello Jessica! Hydrangeas are very water sensitive. They require a lot of water for rehydration. I would suggest to cut their stems as soon as possible after delivery and place them in water to ensure that they remain fresh for your event! Let us know if you have any other questions!